Just received notice I was accepted into the 2019/2020 Prequalified Artist Pool by the San Francisco Arts Commission's Public Art Program! This is for projects up to Five Hundred Thousand Dollars. This was a really nice email to receive! 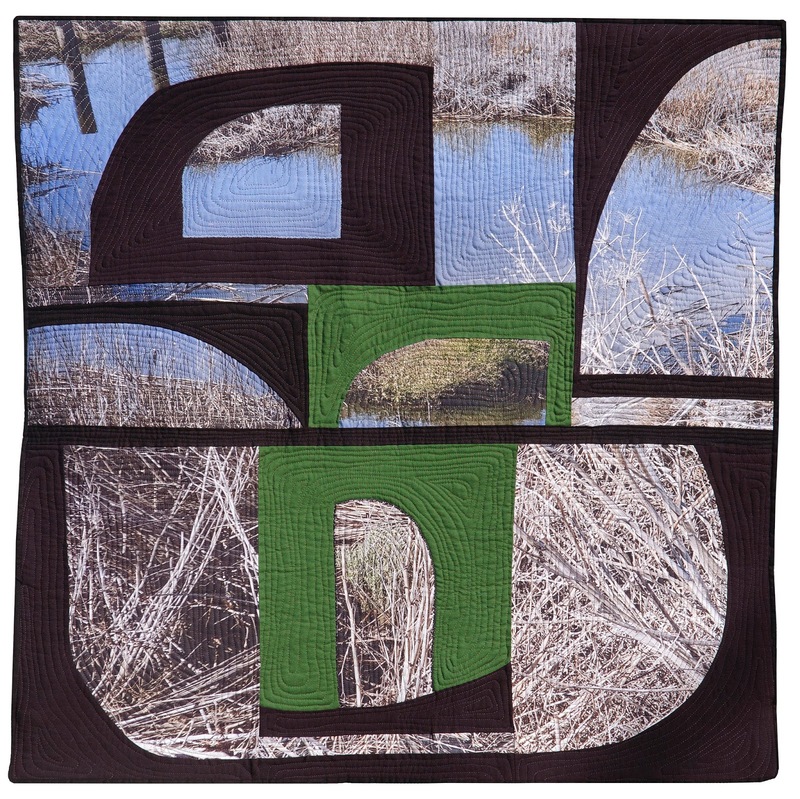 Below is "Alviso" one of the multiple entries I submitted to be accepted into the Artist Pool. 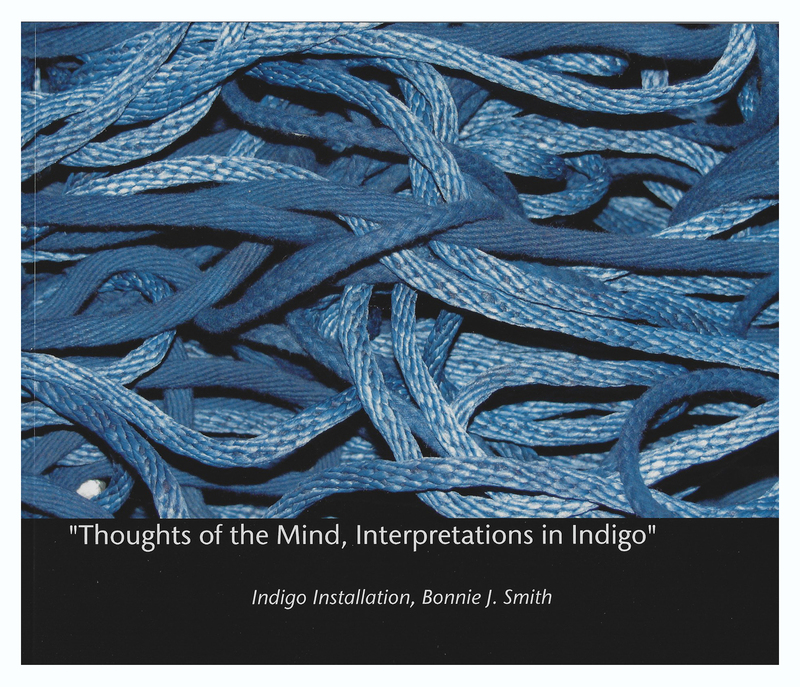 "Thoughts of the Mind Interpretations in Indigo"
My book about the Indigo Installation I created and my early childhood years that I wrote in 2014 is being placed in SAQA Archives at the University of Nebraska - Lincoln. This is so huge for me after this much time has passed and now Studio Art Quilt Associates of which I am a long time Juried Artist Member has decided to give me this honor. They feel it is a important addition for future researchers to be able to access. A pdf of the book is available on Blurb https://www.blurb.com/b/5239967-thoughts-of-the-mind-interpretations-in-indigo for 9.99 or you can order the soft cover book from me for 24.50 plus 1.75 for shipping within the U.S.
Spring is here and Visions Museum, San Diego, Ca. 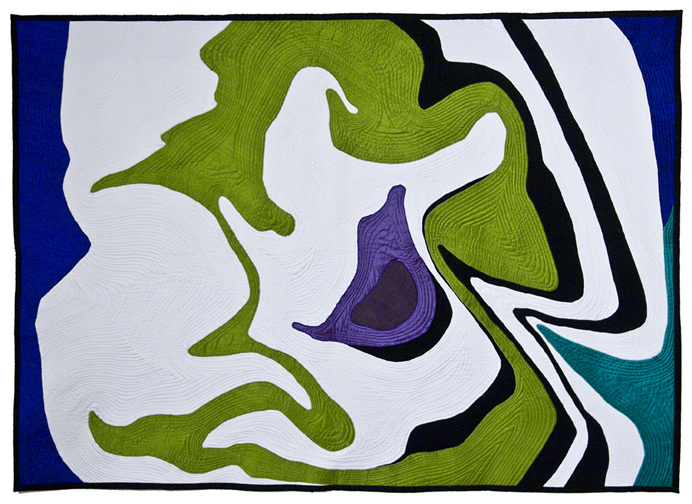 has its new on line exhibit titled "Spring" on line. The idea for this textile came from a bouquet of roses my husband gave me. Every morning when I gazed at them I was surprised at how they kept blooming larger and larger. I then knew I had to create an art work about this beautiful bouquet. This textile was also exhibited one year at the Houston Quilt Festival, Houston, Texas also at the Pacific International Quilt Festival, Santa Clara, California. It brings me joy just looking at it. 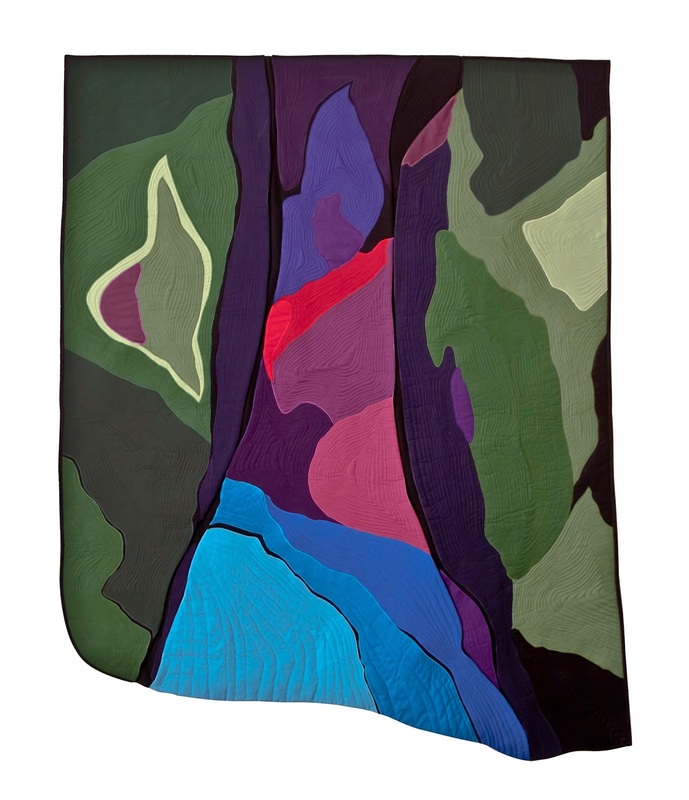 So lovely that my textile artwork "Water, Water, Everywhere... is being featured on NLAPW.org. Candler Arts Center. 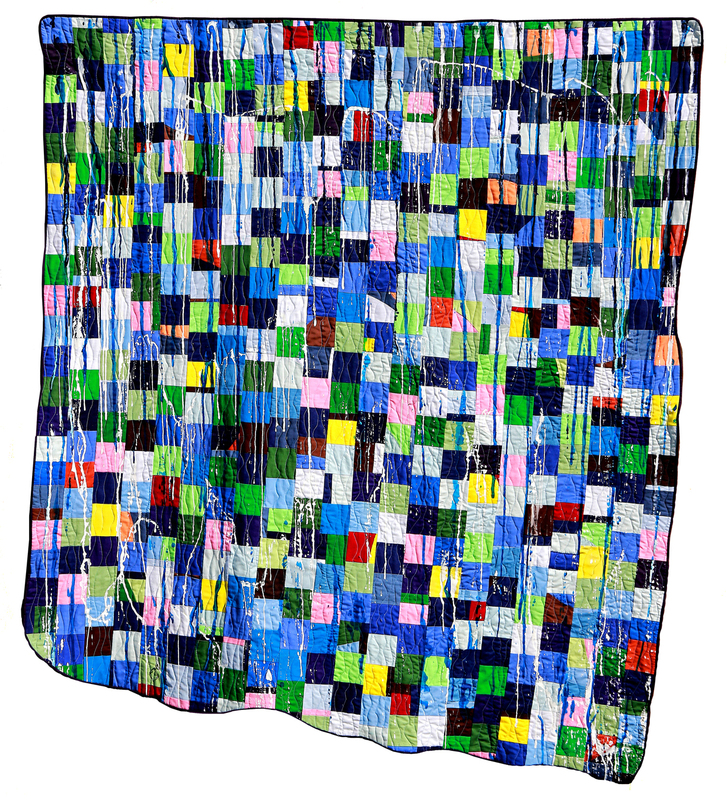 This is one very talented and celebrated textile artist group, I felt honored to be included. 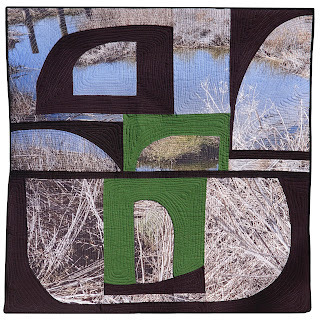 My artwork "caution" 4 x 6 was juried into this post card exhibit to raise money for WCANational. My card is on the left third row down. The cards will sell for 50.00. It really is an honor to have my work in this prestigious gallery. Bonnie Jo Fiber Arts: "Water Is Life Exhibit"